Ann Shenfield is recognised as an animation filmmaker and author-illustrator. You Can Get Only So Close on Google Earth is her debut poetry collection. Poems within the collection have been recognised, winning such prizes as the Rosemary Dobson and Max Harris Poetry Awards in 2007 as well as publication in journals such as Visible Ink and Glass (2003). A recurring theme is death; the death of a father when the poet was 5 years old, and the relatively recent death of a sister. Indeed, both traumatic experiences. I did, however, find the imagery used in the particular poems to be a bit flowery and assume the poet has reconciled the trauma of these events. 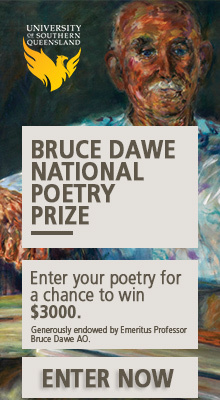 The first and title poem was the 2007 winner of the Rosemary Dobson Prize for an unpublished poem by an Australian poet. The poem has the narrator searching for her sister via Google Earth, the sister having been buried in a Parisian cemetery. The frustration of distance is felt, both physical and spiritual, ‘as if locating her on this distant desktop, would prove / that like Snow White she sleeps a virtual sleep? I seek her out on google earth but even as she approaches me, she distorts, is abstract once again’. Google Earth does not have street view in cemeteries and so the narrator can get only so close. The adjective ‘distant’ is repeated often throughout the early poems in the collection and in keeping with the title; ‘distant desktop’ (‘Google Earth’), ‘things clarify with distance’ (‘Not the First’), ‘like a distant light across the ocean’ (‘In the Background’). This is contrasted with the abstract effect of looking too closely, such as in the ‘Google Earth’ quote above or ‘zoom out, she’s an ant on some remote planet, / zoom in, you think it is her swaying body, / but shapes blur’ (‘Forward Motion’). The poet manages to create a sense of discomfort and alienation, not able to find a place to fit in. Google Earth can be read casually as narratives, allowing the reader a virtual intimate relationship with the poet. Through the collection we learn of the poet’s family history, her parents who survived Nazi Poland and concentration camps to emigrate to Australia, and the losses suffered by the poet herself. Some of the poems read like prose, such as ‘It’s Raining Again’, in which the narrator considers the present tense rainy day and recounts a similar rainy day when the house up the road was cleared out after the old man, who used to tend his garden, had been moved to a nursing home. Apart from the simple narrative this piece also features a strangely incongruous metaphor, comparing the indiscriminate way in which the items from the house were thrown into a truck ‘as though this were Poland and they were just doing their job’. I don’t know if you can compare clearing a house with the Holocaust. Ann Shenfield has achieved success in the film industry and her poems have been recognised with prizes and publication. But in this debut collection, I got the sense the poet is in a transitional state between artistic media. I’m sure, however, that Ann Shenfield will produce more in future, going from strength to strength. You Can Get Only So Close on Google Earth is published by Arcadia. Choosing one’s medium can be an interesting exercise. I am in the middle of putting a collection of poetry together and I can’t decide whether it will be for print or online publishing:):) each mode of production will have an impact on the product…. Thanks Olga, and good luck with the collection. Have you thought about Lulu ( http://www.lulu.com/ ) as it offers both print-on-demand and e-publishing. The differences between digital or print media are not huge. Reading is reading and the written word is much the same whether viewed on a screen or printed on a paper page. Even the choice is hardly a real one now – we seem to be drifting toward the paperless book at a faster pace than predicted. Sales of my own nine books (and yes, one is a poetry collection) are now mainly electronic. I sell about one paperback for every three ebooks. I do however agree that choices abound now, and the interface between author and reader is more direct. There is hardly any choice though between publishing independently or traditionally, since the options have always lain solely and wholly in the hands of publishers and agents, and authors have no choice but to wait to be chosen. Even quality is no longer a guarantee or a criterion upon which one can depend. A friend of mine gave me another book of Ann Shenfield’s, Scribble Sunset. With little scraps and every day images Shenfield creates a world. It reminded me of the twigs and leaves children used to play with for want of better toys. Yet they weaved transformative stories about them. A lucky coincidence put You Can Get Only so Far on Google Earth into my reading hands. Deeply moved all over again, I searched for her on the net and found Mark William Jackson’s review about her. I was surprised by its paucity. His glib comment on her father’s and sister’s death before adding that he find her poems flowery comes out of nowhere. He damns ex-cathedra while patting her poetical spine with faint praise, but neither his compliments nor his critique are grounded in any intellectual and sensitive coherency. Shenfield’s prose, if anything, is restrained, diffident. Its aura of tenderness is felt without being spelt out. As a Jewish writer her allusions to the Holocaust are refreshingly spare. She makes us feel our common humanity with what happened and doesn’t make Jewish pain into an elitist martyrdom. We are all Jews when it comes to the Holocaust. Humanity was attacked. The wrong was global. All human beings are in danger when any human being is treated like the Jews were treated. But the cherry on the cake, as for William Jackson’s critique, is his pouncing on an image, which is both so beautiful and ordinary – the magic of great writing. As Oscar Wilde said the whole point is making the ordinary extraordinary and not the extraordinary ordinary. An old man is being put in a nursing home. His house is closed. His furniture is stuffed in a van and Shenfield feels that the whole of Poland is carted in that van. The immediacy of it tugs at your heart. Has this critic never moved house, never seen his past carted away? Has he never seen lines of refugees on dusty roads with pathetic remnants of furniture dragged behind them? The image is symptomatic of the quality of this woman’s writing. Like the twigs children used to play with, she describes a heartless and violent world with a very small, apparently ordinary event. An event only a poet of her caliber would notice. I suspect the quality of addressing deep emotion is what bothers William Jackson. But that is what writers are for. That is their job. Our whole world could be carted away under our emotional noses, if poets were not there to warn us. Hi Catherine, thank you for the comprehensive comment and for offering a different approach to Ann Shenfield’s work. When writing this review I searched for other reviews that might offer me another angle on the collection, fearing that I might overlook some of the nuances of her work. I read the collection a few times because I don’t like writing reviews with negative undertones (or overtones, however you read it). The paucity of the review is due to fear of ‘TL;DR’, personally I think it is better that someone read a short review than ignore a long one. The authority with which I damn the poet’s death metaphors ‘ex-cathedra’ is as a reader and having been affected by death too many times. As a poet I use no restraint (or intellectual or sensitive coherency) with regards to death. I have no educational qualifications and could not begin to dissect the work to any level of academic acceptance, as I said I write my reviews as a reader as I figure it is readers who read them. I never wrote that there was an overuse of allusions to the Holocaust, I would also not call myself a Jew with regards to the Holocaust, humanity wasn’t attacked, the Jewish people were singled out and attacked in one of the most disgusting periods in human history. What I wrote was that I found the comparison in terms of clearing a house to be jarring. If you require some of my personal background to justify my position when you ask ‘Has this critic never moved house, never seen his past carted away? Has he never seen lines of refugees on dusty roads with pathetic remnants of furniture dragged behind them?’ Of course I have moved house, I have cleared the house of my mother after my brother passed away, I’ve seen items of the past being carted away, but they are just items, symbols, meaningful but poor replacements for the memories they represent. I have spoken at length with refugees as a counsellor with Centrelink in Cabramatta (NSW), which has a very high migrant population, I’ve worked with people who had to fight Khmer Rouge soldiers when they were 15 in order to survive internment camps; I’ve counselled a 12 year old girl pregnant after being raped by her 15 year old brother; I dealt with post-traumatic stress disorder on a daily basis. I would not use these horrific tales to try to convey how disheartened I would feel watching a neighbour’s house being emptied. I appreciate that you enjoyed the collection but I’m afraid I didn’t read the deep emotional connection that I’m glad you did. I found the opposite, I found that the poet was a little guarded. I am looking forward to reading more from Ann Shenfield as I feel she is in a transition, I certainly don’t want to pat her ‘poetical spine with faint praise’, I just wrote it as I read it. M W Jackson is reviewing it ‘as a reader’. First published at Mark William Jackson. Sorry Ben, I don’t understand your point or why you re-posted my poem? is that my email on the blog???? Ben, not sure what you mean. I can’t see your email in the comment above. ‘You Can Only Get So Close On Google Earth’ was shortlisted for the poetry prize in this year’s Queensland Premier’s Literary Awards – and this was no surprise. This is a really special book. Reading these poems I was reminded of something within myself – something forgotten – and yet along with this I was transported to unfamiliar and intriguing territory. Through the most recognizable of events and moments, I felt myself taken into new ways of seeing and of knowing the world around me; ways that made me experience my own world as infinitely more dimensional and meaningful, more beautiful and sad and magical than I had previously. When I put this book down, I felt like something had been transformed, something for me had really changed – and I can’t even be sure how it occurred. Perhaps it was through the seemingly tentative way each poem is told, the spaces of uncertainty I was taken into and out of or perhaps it was through the unexpected moments that created such a sense of surprise and poignancy or maybe it was the simultaneous simplicity and complexity of the writing that for some reason greatly moved me. To be honest, I am not sure – and I think that is testimony to how magical and powerful this writing is. I would really love to see this collection of poems seriously reviewed. I was excited to see that Overland had posted a review but I was disappointed at the quality of the one above. Perhaps the reviewer doesn’t have the sensibility to fully appreciate this writing or perhaps he simply lacks the skills to articulate its complexity and subtlety. It would be great to see someone with real expertise in this area and with the required sensitivity look closely at this collection of poetry and review it with the respect it deserves. Thank you, Sue. I would also like to read different review on this work and get another angle on the collection. Unfortunately it appears that mine is still the only review online. And you may be right, maybe it is a lack of sensitivity or the skills to articulate. That is great news about the QPLA short-listing and, as I wrote in the review, I’m sure Ann Shenfield will go from strength to strength and the next collection will knock ‘em out.